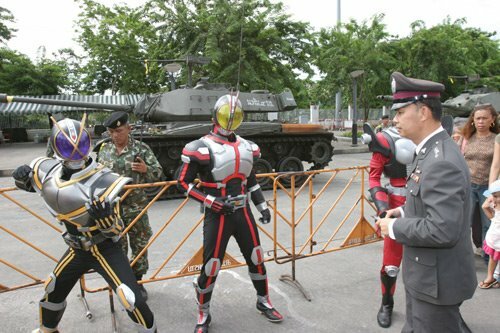 Ultraman: We want democracy back, and therefore we will kick you out from Thailand now. Coup: Freeze now!! We have many tanks to attack you if you don't freeze. Ultraman: No. We will fight until we got the democratical country back. If you feel serious about Thai politics, I suggest you to take a deep breath and chill out.